Sometimes the tiniest purchase can make a huge difference in your overall happiness level. In my case, it was a pair of flannel pajamas for less than $20 that instantly elevated my mood and has continued to do so every day since I brought them home. One of life's best little luxuries is deliberate sleepwear. What do I mean by deliberate? I mean the opposite of what I usually do (and what I'm guessing most people usually do): sleep in whatever t-shirt, sweatpants, yoga pants, tank top etc has been demoted from fit-for-public to only-in-private. Am I right? 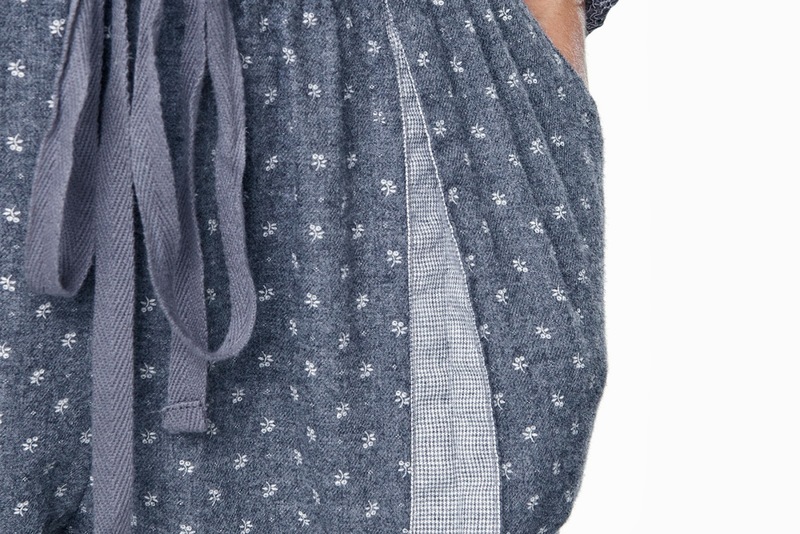 So a brand new pair of super soft flannel pajama bottoms with hidden details on the pockets (pockets! ), pretty much makes me feel like queen of the world. And if you work from home like I do, you may spend an inordinate amount of time in your, ahem, 'sleepwear', which is all the more reason to splurge a little. And, as you can see, a splurge isn't necessarily defined by the amount of money spent - it's more about the way it makes you feel. 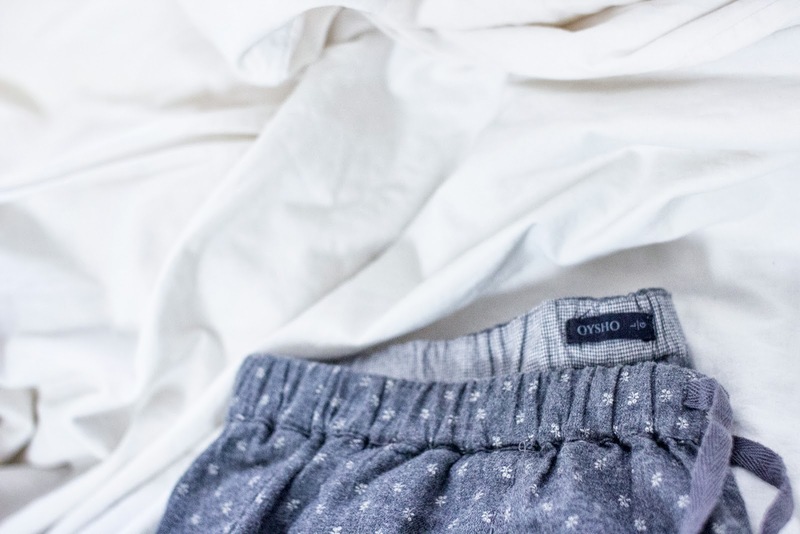 Do your pjs make you feel actively happy? What are the little things that do it for you? True dat, Have to admit it, I've basically been living in these all week. One of the great things about the weather cooling down is being able to wear flannel pjs! Yeah, I sleep in sweats and old t-shirts all the time too, but when I get to wear actual pajamas, intentional sleepwear, it just feels crazy luxurious. What I really want now is a full on set, top and bottom. Scouring the interwebs for a good one that's not outrageously priced. Can't believe they haven't shipped you your pjs yet. There should be major penalties for that. Ooh I missed those little beauties when I last had a look on Oysho. I desperately want to buy something from them but haven't got round to getting anything yet. I did try to buy a linen breton tee earlier this year but the colour when it came was all wrong though the tee was good itself. So back it went. But yes, if I didn't have to step out of the door ... I might be still in my pj's when the Grumps comes home in the evening. Thank goodness, I have something to lure me out of my cosy stuff. Toast looks amazing! Why have I never heard of them? Looks like a UK brand but they do seem to ship internationally so it's a good thing to have on my radar. Thanks for that! These pjs of mine are pretty easy to miss on the website because for some unknown reason they're listed under pants and not sleepwear. I guess you could wear them out? But I think you'd look pretty ridiculous because as far as I'm concerned they pretty much scream sleepwear. No idea why they categorized them like that.